The artsdepot is a multi-purpose venue located in North Finchley. This cultural hub was opened in 2004 as part of a scheme to develop and increase participation for the arts in North London. Their vibrant programme runs all year-round and includes theatre, live music, comedy, dance, visual art, spoken word and children’s events. The artsdepot is comprised of two main theatre auditoriums: The Pentland Theatre, with a capacity of 395; and a Studio Theatre, with a capacity of 148. The venue also has several dance and drama studios, a gallery space, and a café. The venue has a lot to offer for professional companies and amateur outfits, whilst also running an educational course for children and adults. Additionally, the theatre is deeply involved within the community through its outreach programmes, working with local schools, artistic companies, other venues, and London festivals. The current site was once the site of another entertainment centre, having been the original location of The Gaumont Cinema which stood for over 50 years, from 1937 to the late 1980s. After its demolition the location was used as a marketplace, before being renovated with the construction of the artsdepot centre. 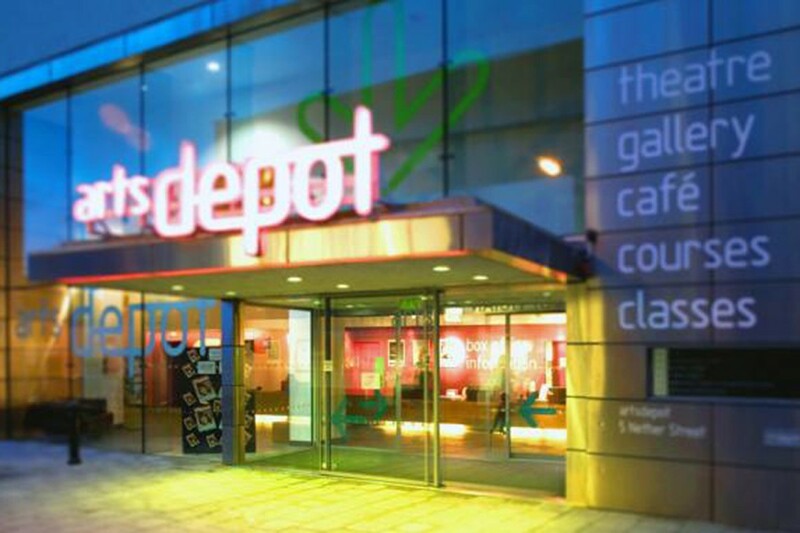 In recent times, artsdepot is an award-winning cultural venue and welcomes over 120,000 people every year to watch shows, learn from educational programmes and be inspired by all thing artistic. Artsdepot is between West Finchley, Finchley Central and Woodside Park stations on the Northern Line (High Barnet branch). A wide range of sandwiches and snacks, freshly baked croissants, organic products, and fair trade teas & coffees. Open one hour before performances.